Three 2019 Scholarship Recipients have been awarded! We are currently full, ACTUALLY OVER-FULL, SO we WILL NOT BE KEEPING a waiting list. WE ARE REALLY SORRY NOT TO HAVE THE SPACE FOR EVERYONE WHO WANTS TO ATTEND. WE Thank you for your enthusiasm and we HOPE to see you NEXT april. If instead you would like to join us just for Dinner on Saturday night April 6, please see the information here. If you are Al Turner’s current massage student signing up for the special Sunday Half-Day Attendance, please use this link below. Note: do not use this link unless Al has personally talked to you about this, thank you! Mark the dates, reserve your spot, and join us. (Thai massage teachers, if you'd like to attend with some students, send us your email so we can tell you about our special Teacher's Discount). Preliminary schedule is below, thought it may be subject to slight changes. The comments from last year’s attendees will give you an idea of how awesome this will be so you can RESERVE THE DATES and register to join us at the discount rates by JANUARY 4th 2019! "Come empty and leave full........"
"Safety, diversity, rebuilding, rewiring, community, passion, inspiration, knowledge, & love - why I'll keep coming back." "Love you all so much. Thank you Rose for putting this together - What an honor and beautiful experience you have created." "You have to open if you want to be found." "Sharing kind and loving energy with other people is one of life's greatest gifts." "This is the most important event in Traditional Thai Medicine in the US at present. It is our Annual Conference where you will find profound learning and support for your practice. Don't miss it! " "Dense educational fun experience. Great meeting so many practitioners." 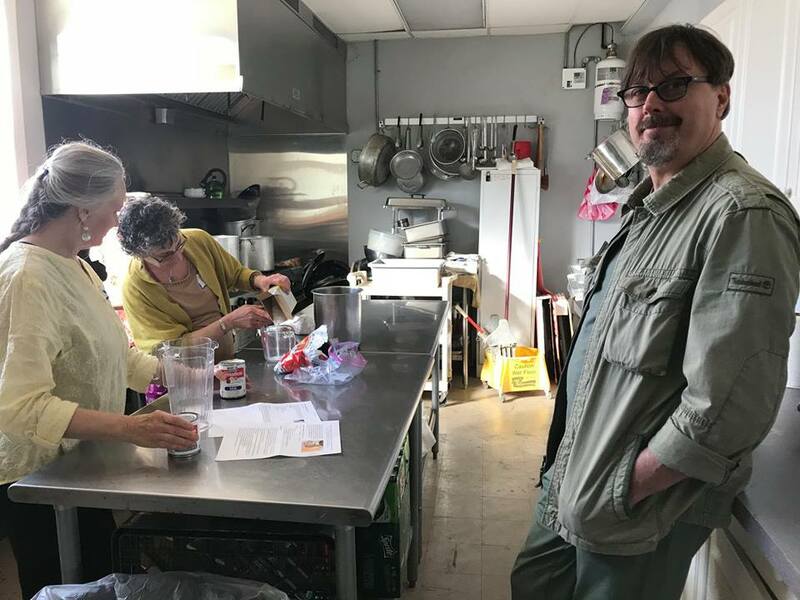 "Thai Jam provides an opportunity to broaden our scope of practice, while having fun and meeting people from all over the country. " "A gathering of Thai massage professionals, teachers, practitioners and students freely sharing knowledge, skills, and experiences with enthusiasm, compassion, and respect." "Well organized, thought out and considerate gathering!" 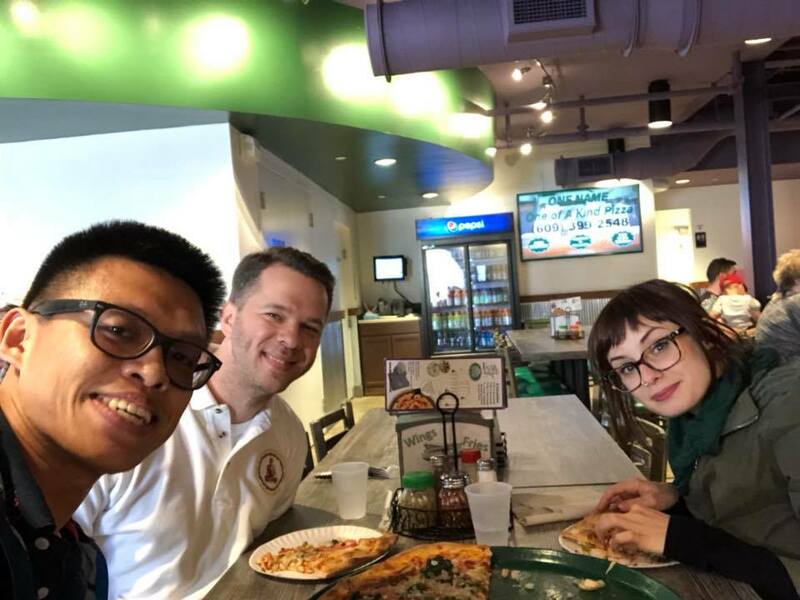 "So great to fellowship with other practitioners." Join us for this collaborative event in it’s 5th year! We strive to foster a welcoming, inclusive environment for multiple styles, voices, perspectives, and experience levels. We are committed to maintaining a fun and safe space, so have a look at our Diversity, Equity and Inclusion statement. The theme this year is shaping up around two topics - gender (the feminine in RDT, treating female health issues), and the broader theme exploring the art, science, and religion of TTM. "Is Your Practice of Thai Massage/Medicine an Art, a Science… or a Religion? North Americans casually refer to the “art of massage” or the “traditional medical science,” but what do they mean by this? Are “art” and “science” accurate terms? At what point does a traditional medicine practice start more closely to resemble a religion? This presentation will explore these controversial ideas, and why they matter crucially to the future of TTM in the West." ”Beyond Compresses: Incorporation of Herbs in a Thai Bodywork Practice” In this interactive lecture we will explore the intersection of Thai herbal medicine and Thai physical therapies and how a Thai massage therapist can broaden their practice and expand the therapeutic potential of their work with the application of herbs. We will look at herbal medicines such as hot compresses, balms, liniments, poultices, inhalers and infusions as they have been historically used in traditional Thai healing arts through the lens of Thai elemental medical theory. ”The Feminine in Thai Medicine: From Menarche to Menopause” * This description uses words such as “women” and “feminine”. Please note that it is understood that these labels are not applicable to all humans with uteruses and vaginas, and that there are many lovely humans who do not have uteruses and vaginas yet do identify as “woman” or “feminine” and may experience many of the physical and hormonal conditions that are discussed in this lecture. All are welcome here from cis men and women to trans men and women to non-binary folks. This presentation will take a broad look at the feminine in Thai medicine, examining the traditional roles of women in Thai medicine, the female spiritual in Thai medicine, and traditional care practices related to reproductive health and general women’s health as well as pregnancy, birth, and postpartum practices. Examples of herbal therapies and bodywork customs will be given for conditions such as menstrual cramping, pregnancy nausea, uterine prolapse and more. 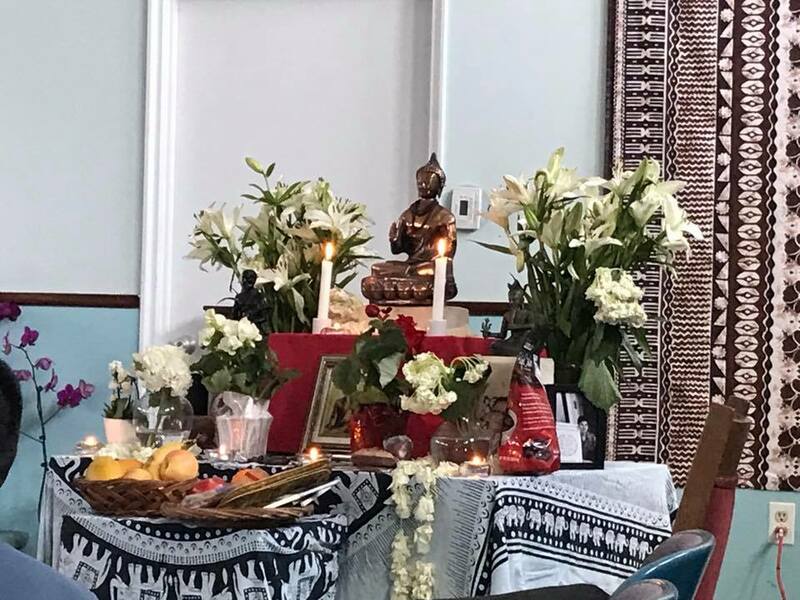 And from Pamela this year - Pamela lived for several years in Chiang Mai, where she cofounded a Thai Massage school, married into a Thai family which has practiced massage for four generations, and gave birth to her son. Her private practice, in New York's Hudson River Valley. We are truly blessed for her to share with us her unique perspective on Spirit Medicine. "Spiritual Sen with Pamela Herrick: hands-on technique” We will learn to experience the sen as an expression of spirit. By developing your senses beyond traditional palpation, you will find answers to your unanswered questions about the sen. Gain a more complex understanding of your clients’ presenting conditions and deepen the therapeutic impact of your work. All in a lighthearted, experimental and playful learning environment. No dogma. Just practice." Gregory Oed, one of the very few reusi trained teachers of Reusi Dat Ton in the west, will gently wake our bodies each morning with breath and moving postures from the reusi dat ton tradition. In addition to our daily practice, he will lead us in a focused workshop, “Thai Hermit's Yoga”. With discussion, breath, and movement, we'll explore more deeply reusi dat ton 'thai hermit's yoga'. We’ll discuss any issues that come up regarding the masculine/feminine in RDT and Gregory will also respond to massage therapists’ wanting to offer RDT to their massage patients, by showing us specific techniques that can be used as a therapeutic routine for specific conditions, through the lens of Buddhist medicine and RDT (like wind stuck in shoulder or neck). In addition, Al Turner II will be his playful and knowledgeable self leading us through awareness of touch while teaching key hands-on techniques, and Rose and Al will co-lead a hands-on workshop focused on one of the four positions. Rose will also foster an interactive session for small groups to develop specific teaching and communication tools for our TTM practice (such as ways to recognize and respond skillfully to inappropriate gender dynamics, sexual boundaries, unconscious bias, and other topics of interest to attendees). And there will be daily open mat time to really sink in to give and get great thai massage. All held in a comfortable space a few blocks from the beach and boardwalk at the NJ shore in Ocean City, just south of Atlantic City. Explore beyond traditional palpation, exchange healing bodywork, indulge in shared community time together, and come away renewed and refreshed with new skills to explore with your clients. And arguably, the most fun part is the chance to play/share/trade/connect with other therapists! Earn 28 THAI and NCBTMB CEs for attending the full event (CEs are not currently offered for partial attendance but we are working on that as well as offering NY State CEs). Space is limited! Register early to hold your spot. Last year we sold out. $450 full price for one person, DISCOUNTED to $400 for Early Registration through JANUARY 4th 2019 (or save even more if you BRING A FRIEND and register together before January 4th, only $350 each). See the links at the bottom of this page. SINGLE DAY ATTENDANCE is also available, discounted to $150/day by January 4th 2019. Overnight housing is provided in town with other attendees in a comfortable fully-equipped condo at the Early price of $150 for all 3 nights (Fri/Sat/Sun) for registration by Jan 4th. Some single rooms are available for an additional $50 fee. If you’re traveling from out of town and are arriving the night before, or just want to hang at the beach a bit longer, you can extend your housing two extra nights (Thu & Mon) for only $50 total. Reserve your spot early to ensure the rate and availability! See the link for HOUSING, and write a note on your registration, or contact us. 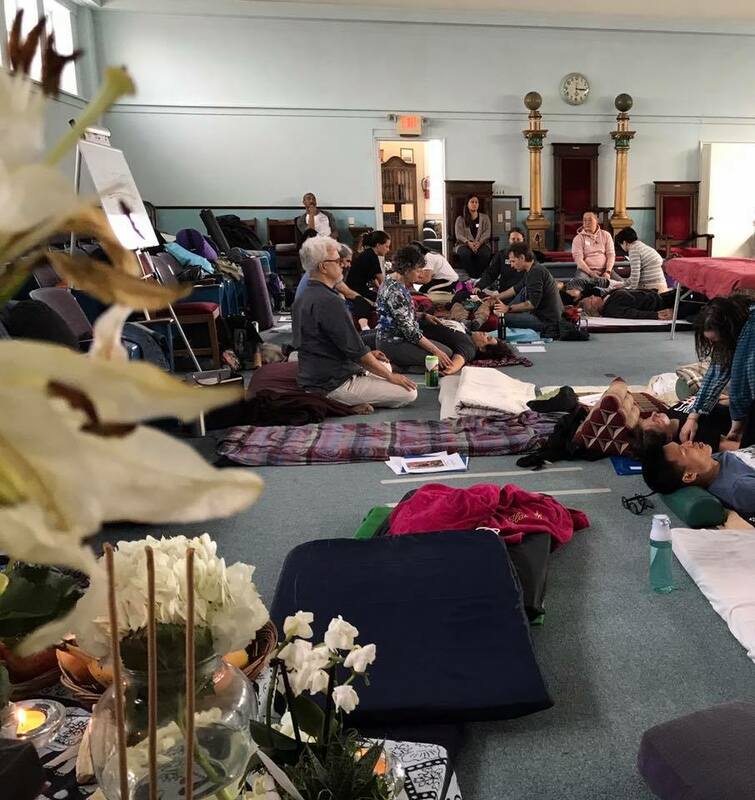 As an example of what we do, 2018's Gathering included guest presentations by Phillip Behrns and Sudevi Kramer, and covered subjects like Royal Thai Massage and Tok Sen, Buddhist Healing and Ceremony, Exploring Inclusivity for Teachers, Wind Gates & Sen, Spirit Medicine, Vedic Thai-Yoga, and lots of Open Mat practice.